I was surprised with the news I saw from Twitter feed the other day. 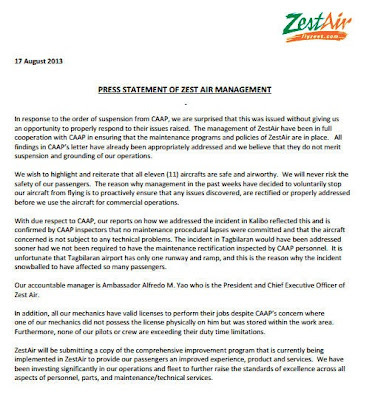 It is about Zest Air's sudden suspension. I was surprised and shocked. I did fly through Zest Air and I felt safe like the other flights I had with other airlines - the most recent was my trip to Kota Kinabalu. 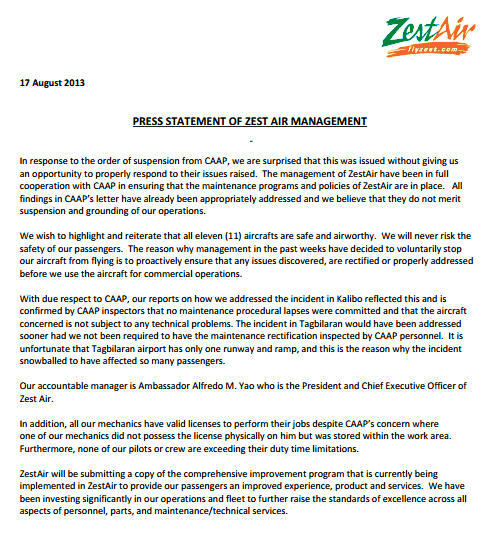 I awaited for the official statement from Zest Air, like most of the passengers who were hoping to travel this weekend. 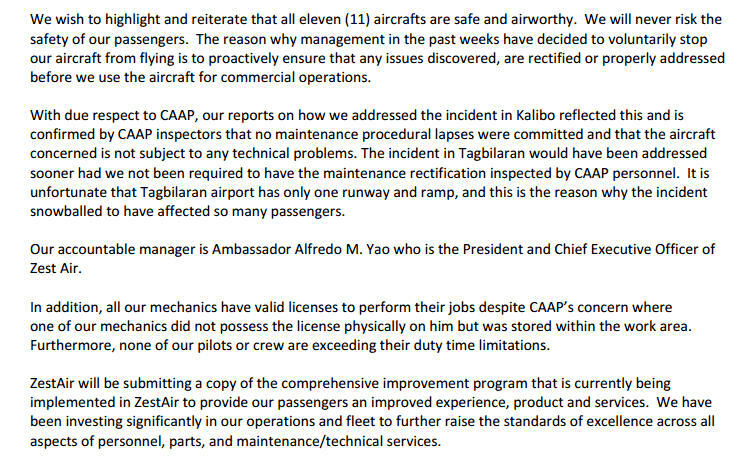 Then, I finally received this note - and I want to share it with my readers. I am hoping things get okay soon.. then, I am ready to travel again!